Interesting fact for you: 17,000 children between 1990 and 2015 were injured with 300 of those dying! Wanna take a wild stab at the cause for this staggering number? Poison, no, drowning, nope wrong again. CORDS. Yes cords, like the ones hanging from your window blinds. I begin with this harrowing statistic because I want to draw attention and raise awareness on something that could easily be prevented! With the welcoming of our daughter we’ve had to pay closer attention to the unassuming details of our home. Our primary goal is providing a safe terrain for our child to explore. Childproofing is definitely a challenge and it seems almost everything can pose a danger. The most well-known child-proofing tips are typically the electrical sockets and cabinets, at least those were the ones I immediately thought of, but what about the hidden dangers. How often do you hear people say, “Make sure you have cordless blinds, because corded blinds pose a strangulation danger”. I have to admit this wasn’t something I even considered. The National Safety Council has some wonderful information about detecting the high-risk areas in your home and provide ideas on safely implementing a plan. Toxic substance: under kitchen sink, medications stored in medicine cabinet (drawers or purses), batteries, garage or garden sheds. Potential for a fall: unsecured furniture, stairs, slippery floors and high windows or balconies. Comfortex is the leader in providing child-safe window fashions. 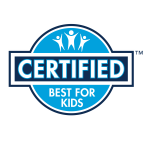 They have a “Best For Kids” Certified Program with products with inaccessible cords. 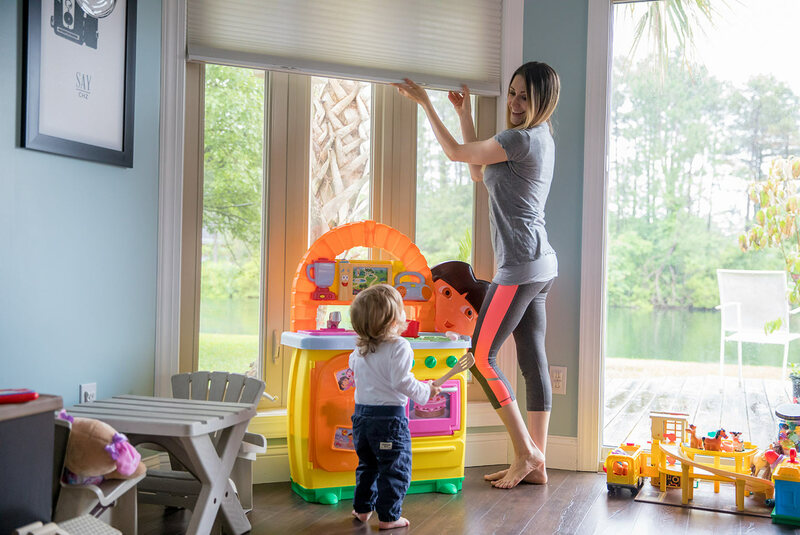 Cordless Ultra™ Cellular Shades are the preferred choice from Comfortex, combining the style and functionality of a cellular shade with the beauty of cord-free operation. Instead of exposed cords, which may entangle small children or pets, a gentle push or pull on the bottom rail is all that’s needed to raise and lower the shade. Our Smooth Lift Roller Shades operate quietly without cords. The Smooth Lift Hardware system moves with a gentle pull on the bottom rail to raise and lower the shade. Our Motorized Shades, available in cellular, roller, roman and sheer horizontal window shadings are a convenient cord-free option. 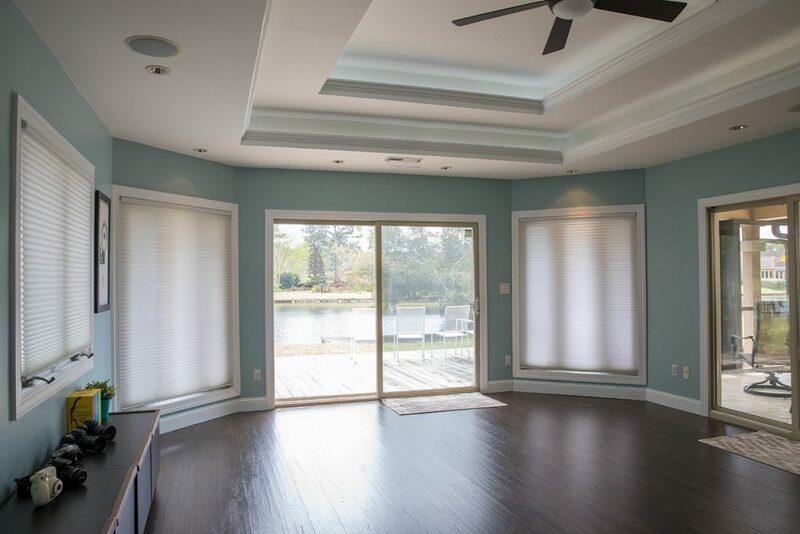 Corded cellular and pleated shades from Comfortex are also safeguarded. The exclusive Breakthrough Cord Connector snaps open when pressure is applied to the cord loop should a child become entangled. A tilt wand option on the top yields a vertical blind completely free from any cords or chains. A Tilt wand option is available on Panel Track. Panel Track Shades feature sliding fabric panels which can be moved with wand control that can be used to cover windows of all sizes or function as a room divider. What are you waiting for? Make your home safe today! Get your Free Swatch Kit Below! What are some of the challenges you’ve face child-proofing? Great write up! Thanks for the incredible information! Thanks Ann! Awesome product for sure! Thank you for bringing this information to light! Looks like a fantastic product! Thank you for taking the time to read! 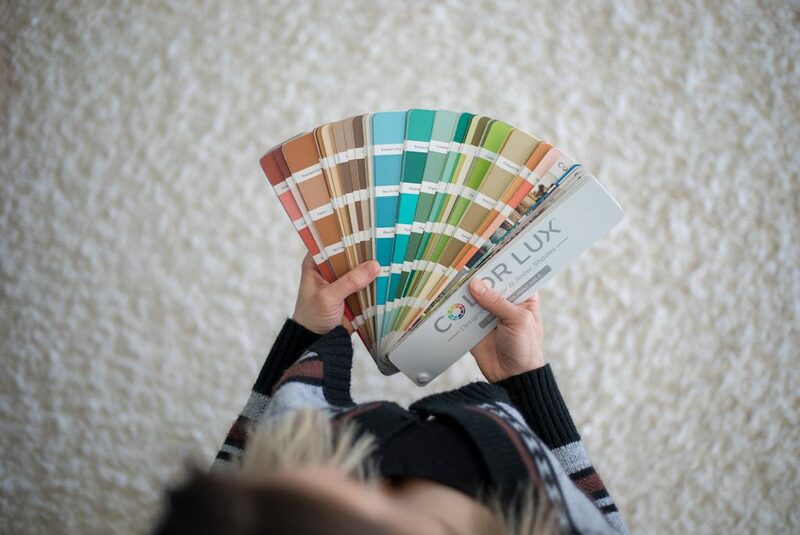 Be sure you grab a free swatch kit and check out Comfortex’s amazing products! Nice article on the dangers of cords. Definitely going to check these guys out! Great! Let me know if you get them! Those blinds look gorgeous! I’m thinking they will look great in my kitchen! I have them in my playroom/studio and they’re lovely! Your blog is very useful. I know very important thing over here. Thanks for sharing this information with us. Keep posting and keep sharing like this.